Local horror writer D. Ryan Gish’s much anticipated debut novel Enthralled unleashed a brand new version of an age-old fright on readers in late April. The apocalyptic tale has been incredibly well received and proven that readers aren’t ready to put dystopian stories to bed yet. Gish’s dystopian novel Enthralled shares the hauntingly beautiful writing style of his popular short stories and satisfies avid readers who have eagerly awaited the book’s release. In the weeks since Enthralled launched, the response has shown that Gish’s work is what horror readers truly crave. Enthralled follows the heartbreaking choices Shane McCall must make to protect his family as strange and deadly events plunge civilization into chaos and stack the deck in favor of horrific monsters that eagerly fill the void. Facing a near constant state of peril leaves many in despair, which ultimately consumes and destroys them. This proves to be the most poetic aspect of the book and the one that separates it from other recently released horror novels. Gish’s monsters create the very threat that leads to the internal demise of their victims and then reap the benefits. This modern twist on a legendary monster jettisons the story’s fear factor to a new level. 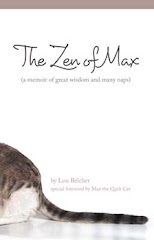 The brilliant storyline is furthered by Gish’s beautifully written characters, which are relatable and memorable in a way that is seldom matched. Prior to penning Enthralled, D. Ryan Gish authored a noteworthy collection of short stories that evolved within awe-inspiring and often frightening fantasy worlds. Although Gish’s works, including “Enthralled,” tend to center on chilling tales, faithful readers of fantasy, sci-fi and horror will find comfort in his lyrical prose, stellar world weaving and relatable characters. An ardent reader himself, Gish’s stories stay true to the genres he loves wholeheartedly, much to the delight of his fans. 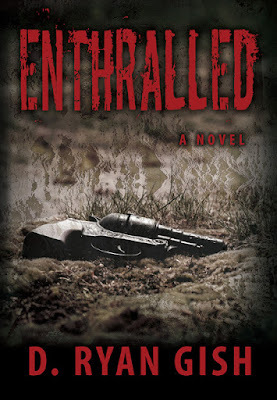 "Enthralled" is available in paperback and digital ebook formats.